With three decades of experience in construction law, Richard Hardcastle has built a reputation in the industry for his work in litigation and business transactions on behalf of clients across the country. He represents owners, prime contractors, subcontractors, suppliers and design professionals in dispute resolution in the public and private sectors, as well as contract preparation and transactional work. Richard has litigated, arbitrated and mediated complex construction disputes including bid protests, contract terminations, breach of contract and claims for delay, disruption, acceleration, defective design, defective specifications and extra work, to name a few. He has represented construction industry clients before federal and state appellate and trial courts, boards and tribunals and in arbitrations and mediations. 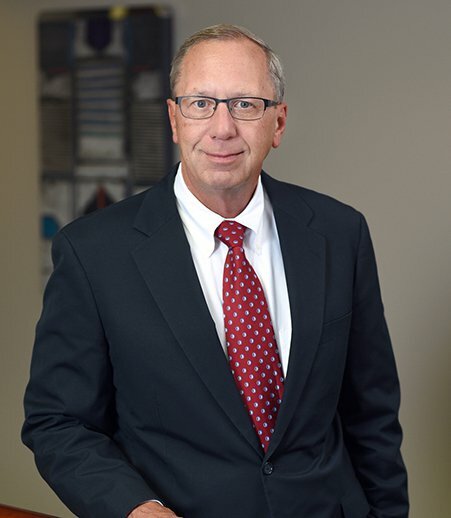 He was lead counsel for the prevailing party in the longest civil jury trial in St. Louis County history, a 100-day trial defending a joint venture against claims including breach of contract, negligence and fraud in a light rail commuter system extension project. In another noteworthy success, he was lead counsel in a class action suit that resulted in the defeat of an unconstitutional stormwater tax against a major sewer district. He has also represented clients in federal and state proceedings for suspension and debarment as well as white-collar investigations involving allegations of fraud. His experience in the acquisition and delivery of construction services includes traditional design-build, design-bid-build, agent construction management, at-risk construction management and turnkey construction. He assists clients in competitive bidding on private and public works projects, negotiated pricing, cost plus a fee, with or without a GMP, and best value procurements. Advice to clients during construction or engineering to safeguard against claims — or to preserve rights to make claims — is a significant part of his practice. Richard also assists clients in certifying Disadvantaged Business Enterprises (DBEs) and Women Business Enterprises (WBEs), and the calculation of minority participation on government projects.